Please see some special happenings and offers below straight from my heart to yours, and be sure to keep checking back periodically. Shine on! AS A PRESENTER I HAVE A SPECIAL OFFER JUST FOR YOU! Purchase your tickets by clicking the box below and enter TEschenroederWL19 upon checkout to receive your Wanderlust MAGIC! Zenver Yoga Early Bird Special! Downey Dog Yoga Early Bird Specials! Join me at downey dog! Transform your intention, Transform your awareness, Transform your life. 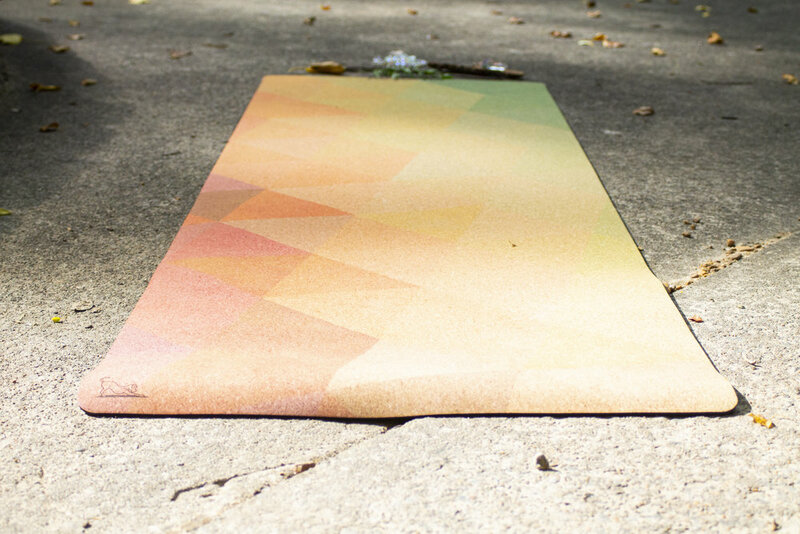 All natural cork and all natural rubber beautifully constructed premium yoga mats. Cork provides a naturally anti-microbial surface that has amazing grip. It actually gets 'grippier when wet'. The rubber bottom provides a great no slip mat base with enough cushion to support your joints, but firm enough for all your balance poses. Don't forget our all natural Mantratology mat cleaner to go with your mat. Keeps your yoga mat fresh and clean and smells great! As an ambassador for the wonderful souls of Altar Ego Apparel I would like to extend a special discount to you. (Check out the outfit on this page to give you an idea of their style). As an ambassador for the wonderful souls of warrior within designs I would like to extend a special discount to you. Mention "BECKY" when ordering to receive 10% off any order! FREE SHIPPING ON ANY BAG PRICED $100 OR MORE, $5 SHIPPING FOR ANY BAG PRICED UNDER $100. 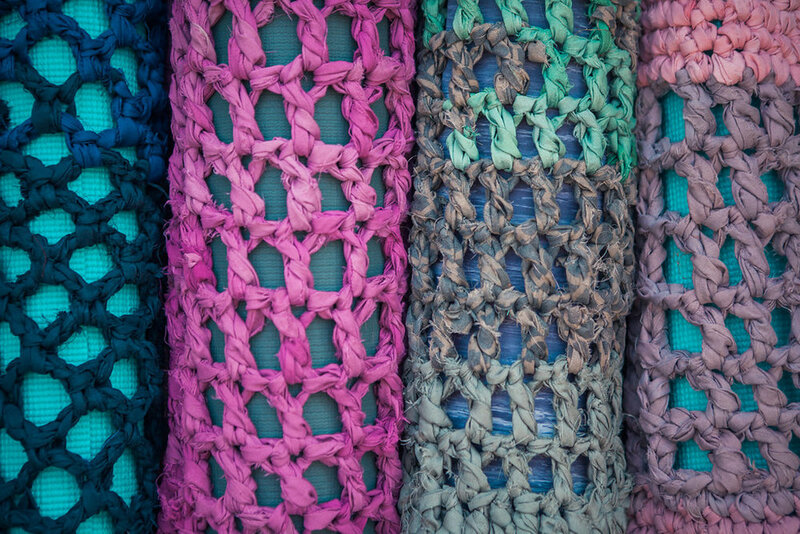 All Savasana Yoga Mat Bags are handcrafted from 100% re-purposed sheets. Every bag created keeps 2 to 3 sheets out of the landfill. Every sheet that goes to a landfill takes anywhere from 3 to 40 years to decompose, so every bag sold helps reduce waste for up to 120 years! 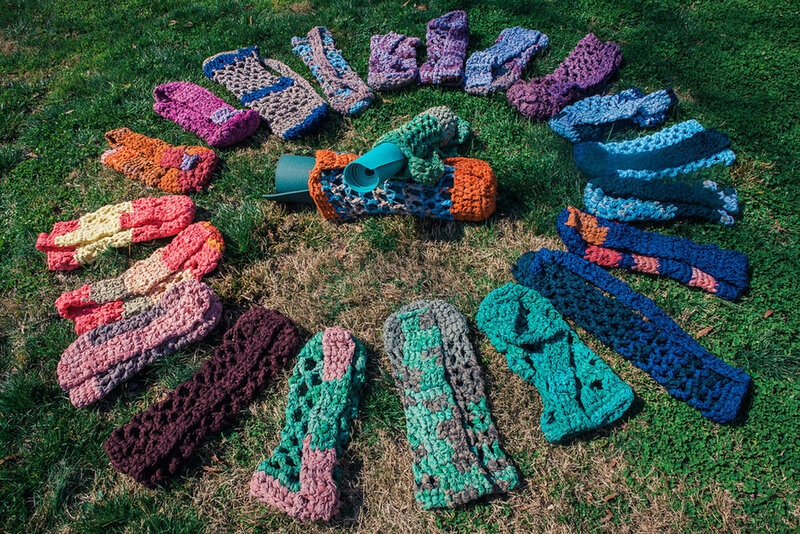 These beautiful bags show off a crescendo of colors, and they super sturdy, yet breathable (no one likes a stinky mat after hot yoga) due to the looser crochet loops, and fashionable too. They are perfect protection for your mat. The way these bags are designed, it will be the last yoga mat bag you will ever have to buy, because unlike some of our competitors these straps do not break under heavy weight. If you are like me, you might like to do yoga hikes, or bike to practice yoga in beautiful places so your mat on your back needs to handle a rough or rugged trek to wherever your road takes you. If you don't love them yet, let me tell you these bags are also good karma, as 20% of all proceeds are donated to a different charity every quarter! 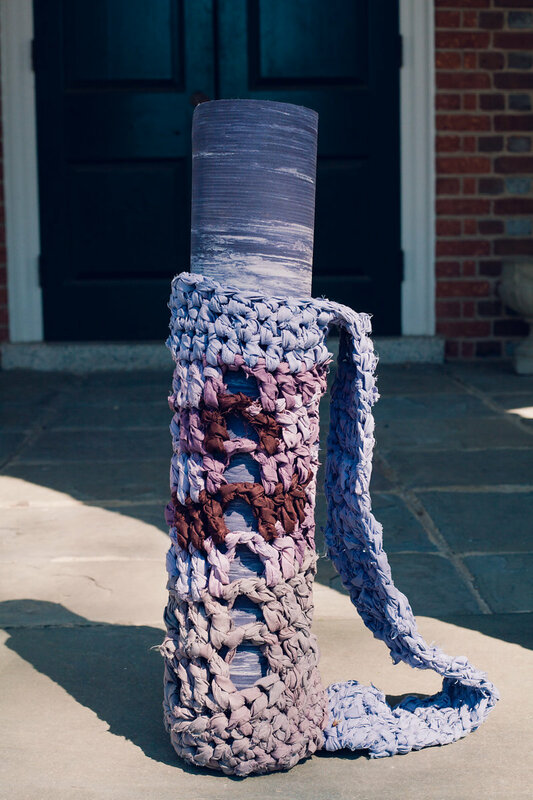 If you love beautiful things, yoga, saving the planet, and helping others, check out Savasana Yoga Mat Bag Company. Yoga2Life is a life coaching certification program for the yoga community. It is a training that integrates yoga and coaching skills to better help people reach the transformation they want in their lives. Not only is Yoga2Life designed to give yoga enthusiasts an opportunity to be at the cutting edge of this trend, but it also allows yoga professionals to continue to do the life changing work they love with clients inside the studio and outside of the studio. More and more people are recognizing the need for hiring a coach to help them move towards the change they see for themselves. Most of our alumni have participated in this training in order to leverage their time and expertise. The coaching world is a great place to be if you are interested in expanding your work into webinars, tele-conferences, group work (workshops and/or group coaching), plus working with individual coaching clients.